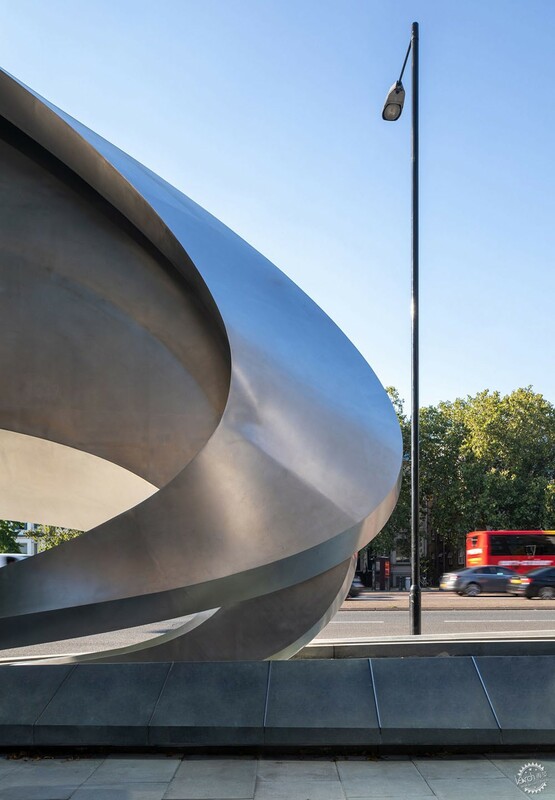 A sculptural digital advertising board, designed by the late Zaha Hadid with Patrik Schumacher, has been unveiled in west London. 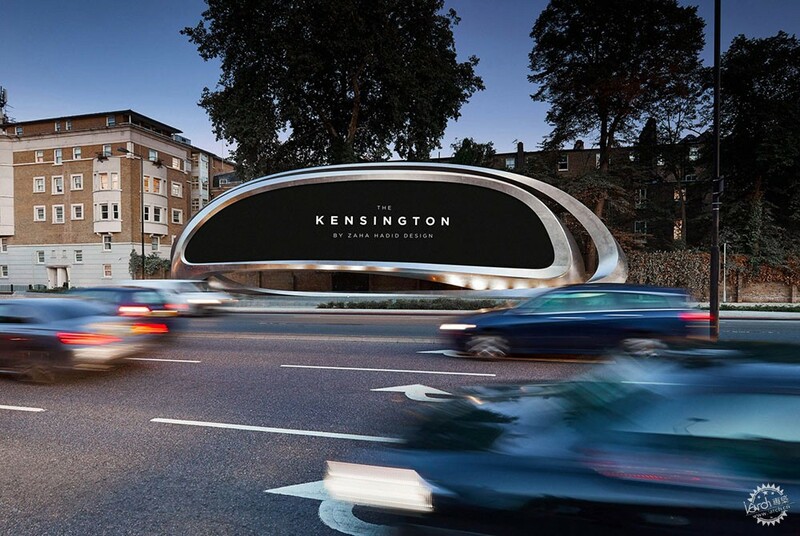 Named The Kensington, the billboard was created by Zaha Hadid Design – a wing of Zaha Hadid Architects that designs home accessories – for adverting company JCDecaux. 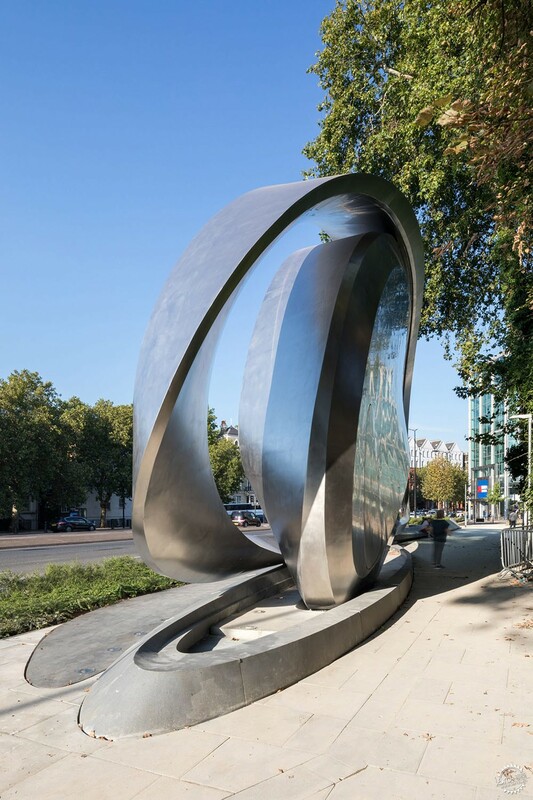 Located on West Cromwell Road, one of the major traffic routes into London, the steel structure measures 30 metres long and nine metres high. 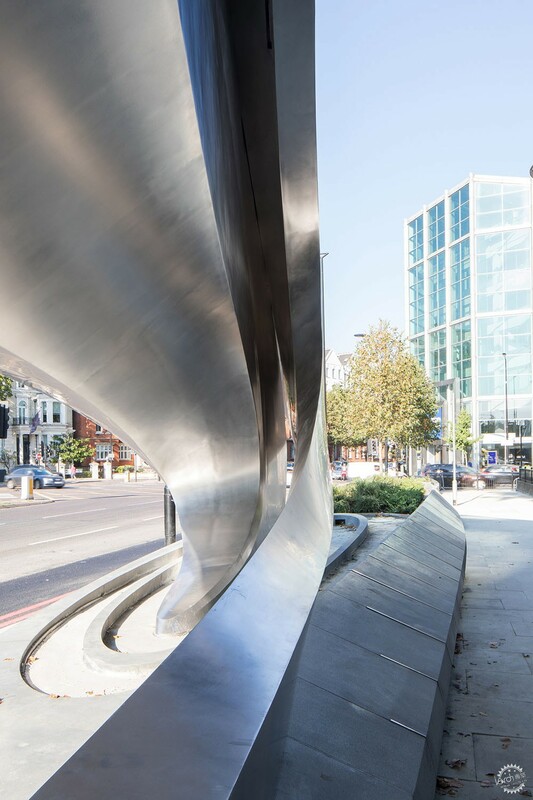 It comprises a curved digital screen that is 26 metres long and six metres high, wrapped in two interlocking ribbons of matt stainless steel. Lighting is integrated into the rear of the advertising board, to illuminate a walkway for pedestrians. 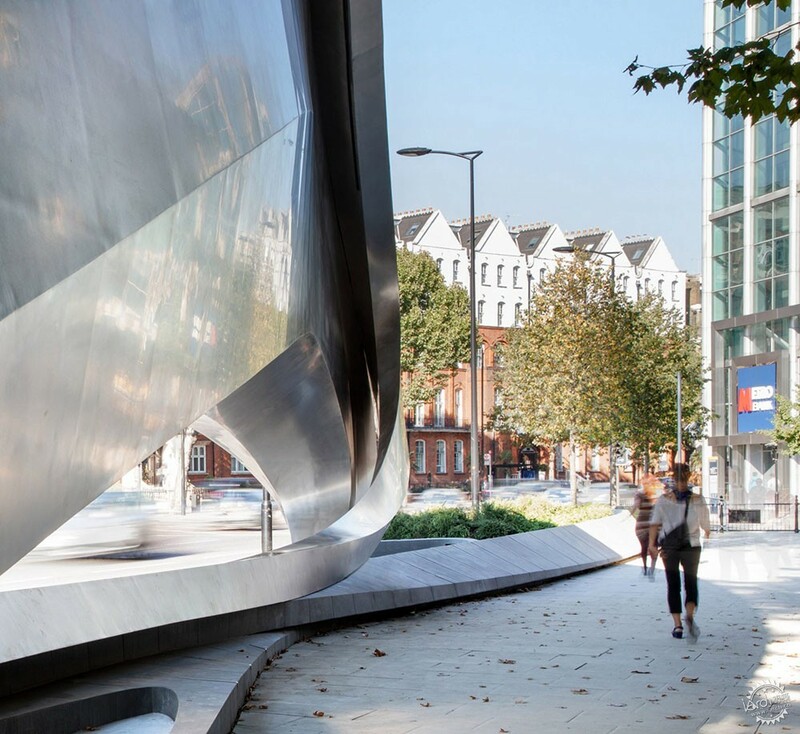 "Both a civic gesture and a promotional medium, the intertwined, looped ribbon design expresses the dynamism of pedestrian and vehicle traffic movements that intersect at this important London junction," said Melodie Leung senior associate at Zaha Hadid Design. 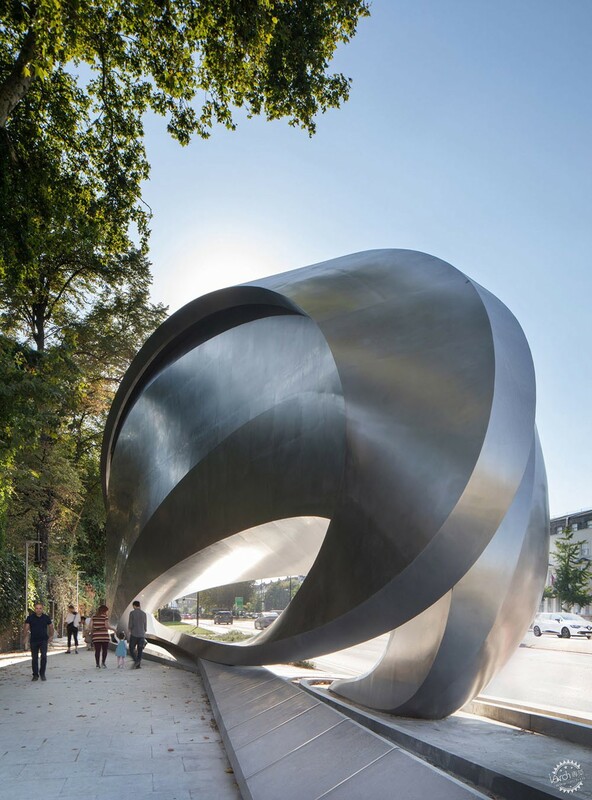 "The stainless-steel ribbon twists as it encircles the screen, defining a varying silhouette when seen from different viewpoints," she said. 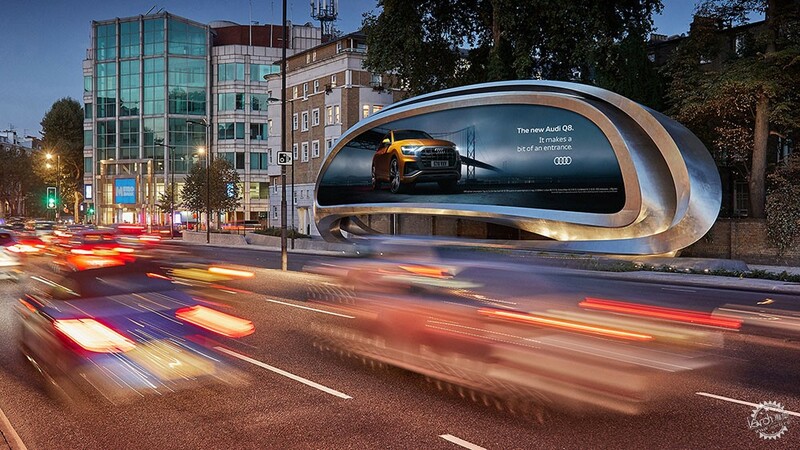 JCDecaux commissioned Zaha Hadid Design in 2014, with a brief to "create a new genre in the roadside advertising canon". It replaces a pavilion containing two advertising boards, which previously stood on the site. 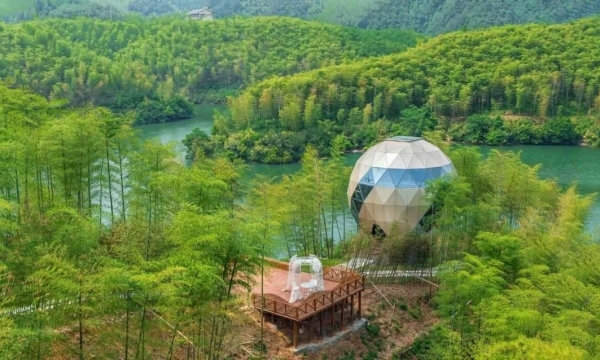 "It will be fascinating to see how brands respond to this sculptural digital canvas," said Leung. "This has been a unique collaboration with JCDecaux to develop new possibilities for media platforms; transforming the billboard into public art," she continued. 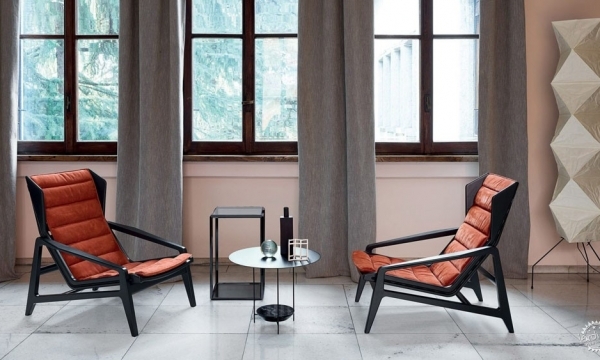 Other design projects to emerge from Zaha Hadid's studio include a reinterpretation of a classic Hans J Wegner chair in stone and a hat based on the swooping shapes of an apartment block beside New York's High Line. Photography is by JCDecaux, unless stated.